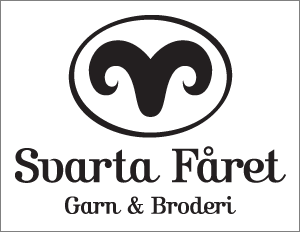 Several of our designs come from one of Sweden’s largest and most reputable brands in yarn and embroidery - Svarta Fåret! Svarta Fåret Ltd is a yarn wholesaler and is based in Lindome near Gothenburg. The company was founded in 1992 and is now a well known and established brand all across Scandinavia. With over 300 resellers and products in several leading mail order companies you probably recognize their logo already. Svarta Fåret Ltd produces hundreds of new embroidery patterns annually, and we now have the privilege to announce a number of tapestry designs available for you! Enter "The Folklore Factory" and design your own "Svarta Fåret" - tapestry!